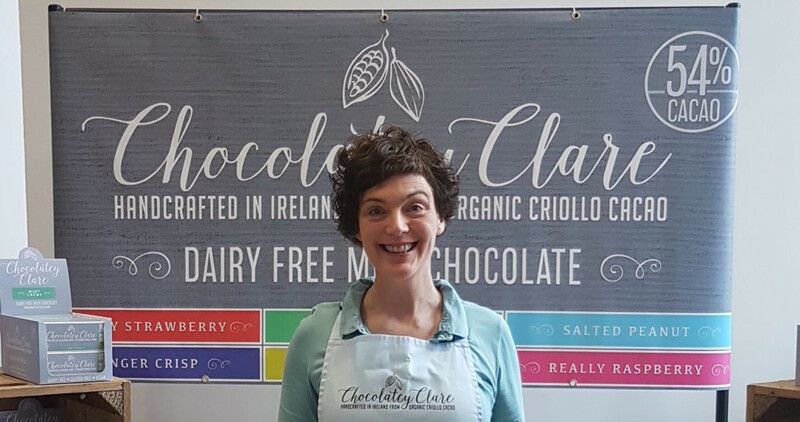 Based in Dublin, Chocolatey Clare was founded by chocolate loving vegan Clare. I decided to make my own brand of deliciousness as I just couldn’t find any dairy-free chocolate on the market that I really loved. And so I bring it to you a range of fabulous flavours for you to savour! But you don’t need to be dairy-free to appreciate this chocolate, it’s a taste sensation whatever your eating habits. Handmade in a dairy free and gluten free section of a commercial kitchen in Dublin, Chocolately Clare flavours include Lemon Crunch, Mint Crème, Strawberry/Raspberry, Ginger Crisp and Salted Peanut. Chocolatey Clare will sell vegan, dairy free, gluten free chocolate in bars and gift boxes at the Dublin Flea Christmas Market.